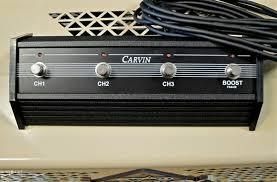 Sold Carvin VL300 100W Vai Legacy 3 lightweight 100 watt. Head-MINT! Includes Pedal . $625 shipped!!! Discussion in 'Amps & Cabs Emporium Archive' started by 11top, Apr 20, 2016. Mint Condition Vai Legacy 3 head. 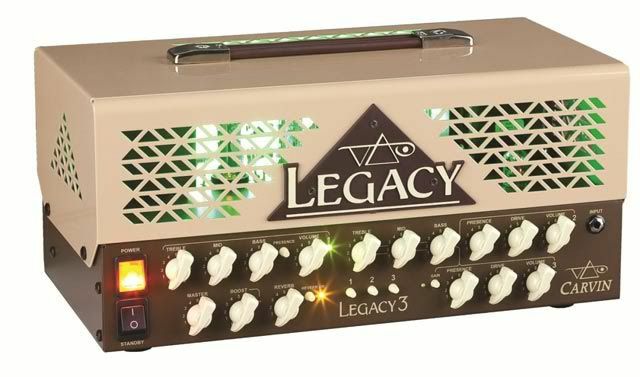 Legacy 3 combines the best aspects of the Legacy I and Legacy II, in a compact chassis that's lightweight and easily transportable. Specs below. Never left my smoke-free home and never gigged. Very low hours on the tubes. All original. Includes Optional FS44M lighted 3 channel + boost footswitch. All in perfect condition. Original shipping box. Shipping included within C-USA. $675 for amp AND footswitch shipped and PayPal within C-USA. No trades. Save over $300 & shipping fees, and get a like-new unit!!! $675 shipped (C-USA) and Paypal. $650 shipped (C-USA) including Paypal. $625 shipped (C-USA) with PayPal.